SIMAC-TANNING TECH 2018, the annual international trade show for footwear, leather goods, and tanning industries, took place at the Rho-Fiera Milano exhibition center, in Milan, from 20 to 22 February, 2018. 180,000 square feet and 300 exhibitors, from all over the world, showcasing the latest and most advanced technology and processing machinery made the 2018 edition of the show a great success. Attendees’ records showed an increase of 18% compared to the previous edition of the event. 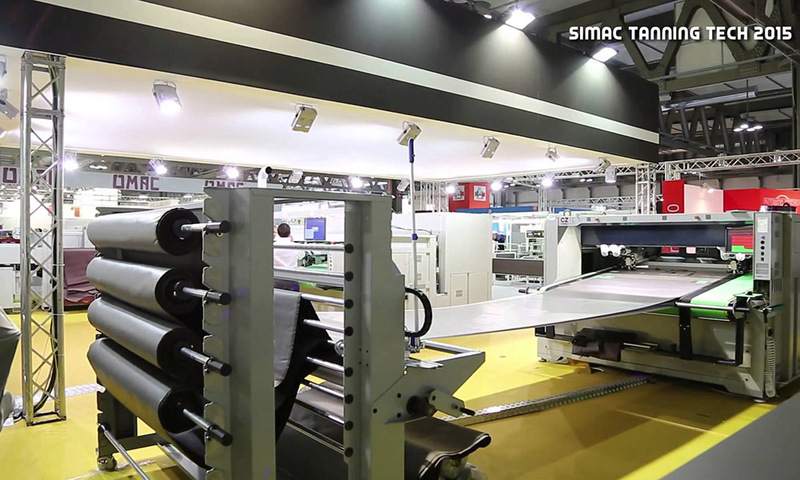 The focus of the SIMAC-TANNING TECH 2018 was the energy/eco-friendly performance machinery and Industry 4.0. “On the three extremely intense days of the exhibition, thousands of visitors saw high-performing, safe, and eco-friendly technology first-hand. The work done by our companies does not, however, lie solely in innovating the single machine but also and more importantly in an innovated production process – says Gabriella Marchioni Bocca, Simac Tanning Tech President. Thanks to government incentives and our ability to ride the wave of change, we have coped admirably with the recession that impacted the Italian and global industry. and is today better able to respond to market demands: the exhibition is a striking example of this. Machinery and technology for footwear, leather-goods, and tanning continue to play a key role in the production chain, helping to deliver ever more sustainable and innovative Italian production”. SIMAC-TANNING TECH 2018 was held in conjunction with Lineapelle, the most important international exhibition dedicated to leather, accessories, components, synthetics, and models for footwear, leather goods, garments, and furniture. The Italian Trade Commission (ITA), in partnership with ASSOMAC, the National Association of Manufacturers of Footwear, Leather goods, And Tanning Technologies, welcomed 20 foreign delegations to the exhibition, totaling more than 160 operators from the sector. As part of this program, Machines Italia Mexico invited selected Mexican companies. including CICEJ- Cámara de la Ind. del Calzado de Jalisco, Asociación de Curtidores de Jalisco, Centro de Información y Tendencias, Calzado Nomadas, Tenería Panamericana, and Berrendo México.